Chris Grabenstein’s newest book, “Mr. Lemoncello’s Library Olympics” is a sequel to his well-received “Escape From Mr. Lemoncello’s Library.” Mr. Lemoncello is the most notorious and creative gamemaker in the world. It also seems that “Mr. L” is the person behind the building of a new library in Kyle Keeley’s town. Kyle, the class clown, is a huge fan of all kinds of games. His hero, of course, is “Mr. L.” Kyle and 11 other kids get invited to an overnight sleepover in the library where Mr. L leads them in games and puzzles. Grabenstein is back with the same cast of characters in “Mr. Lemoncello’s Library Olympics.” Mr. L has invited teams from across the U.S. to competed in the first-ever Library Olympics. Filled with puzzles, and challenges, the participants in the Olympics must solve the mystery of the disappearing library books, as well as, compete in the Olympic challenges. Chris Grabenstein has combined “an ode to libraries and literature” with an action-packed adventure. This debut novel by Hannah Rothschild involves quite the cast of characters, as well as a fictitious painting (The Improbability of Love) by a genuine French artist, Jean-Antoine Watteau, the dark secret of a very wealthy art dealer, and a rather interesting array of food from the 18th century. Annie McDee is a lowly chef working for a film director when she purchases a small painting from a junk shop as a gift for her current beau. She has no idea of its value, having paid 75 pounds for it, a considerable amount of money to her mind. As the novel unwinds, the painting is found to be one by the French artist Watteau, an important figure in the Rococo Movement, and worth a great deal of money. Enter several unscrupulous art dealers, one dark secret and a murder, and all bets are off. Will the secret be revealed in time to free Annie from a certain jail term? Check it out to see. Follow this link for information on the author. Recently, while listening to the “Stuff You Missed In History Class” podcast, I heard an interview that the hosts did with author/filmmaker Bryan Young about his non-fiction children’s book titled A Children’s Illustrated History of Presidential Assassination. Now, it sounds like an odd topic for a children’s book, but the book’s origin is very interesting. Young was discussing his visit to Ford’s Theater in Washington, D.C. with his eight year old daughter Scout, when she asked him, “But why would someone want to kill the president?” Perplexed as how to explain presidential assassinations to his daughter and unable to find appropriate material, or any material palatable for a child, Young decided to do some research and write a book himself. Young explored the history behind all four Presidential assassinations and also dug up the story behind all the attempted assassinations, some of which most people have never even heard about. LIstening to this podcast was fascinating and I suggest you give it a listen. It was especially adorable to hear Young talk about how his daughter helped collaborate with him on the book. She made some of the illustrations that appear in the book which was heartwarming and also shed light on how this topic can be presented to children as long as it is done in the right way. Not one library in our system has this book (yet! ), but here is a link to the podcast which I’m sure will make you want to pick up a copy for your child! 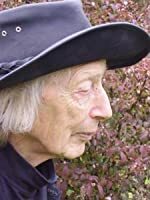 Children’s author, Peter Dickinson, died December 16th at age 88 in England. Born in Africa and raised in England, Dickinson is one of the original dystopian authors before it became fashionable. He wrote for both children and adults and won the Whitbread and Carnegie Medals for his children’s titles. His style ranged from picture books, fantasy, science fiction, humor (Punch magazine), historical fiction and thrillers. His book “Eva,” which was published in the early ’90’s, describes a teenager waking up in the hospital after being in a coma for months from a car crash and realizing she is now in the body of a chimpanzee. Set in the future, the human population is confined to living in skyscrapers watching TV after destroying most of the world. As Eva adjusts to living in the body of a chimpanzee, she becomes more acclimated to life as a chimp, identifying with them more than people. In the early 1990’s, Dickinson married Newbery winning author Robin McKinley. Dogs, their owners, and the mischief dogs and owners get into can be found in many juvenile picture books. Four new books have dogs as their central characters. “Naughty Mabel” by Nathan Lane and Devlin Elliott and illustrated by Dan Krall is just the kind of book you would think Nathan Lane would write. Mabel lives in a McMansion and enjoys all the luxuries life can afford–caviar, days at the spa, etc. She is a very spoiled pooch whose days are filled with a variety of misdeeds. It seems no matter what she does, however, her owners forgive her. This book will find an audience most probably among the Hamptons set. Lazy Dave is the main character in a book by the same name written and illustrated by first time author and illustrator Jarvis. This calm pet is so calm that he sleeps through most of the book. The action in the story comes from the fact that Dave is a sleepwalker. During those sleep-walking episodes, Dave chases cats, walks tightropes, visits outer space, and even apprehends a jewel thief. Jarvis as the illustrator uses a limited color palette and loose chalk and pencil lines. The end result is both simple and sophisticated. “Sad, the Dog” by Sandy Fussell and illustrated by Tull Suwannakit is about a bulldog puppy, Sad, whose owners, Mr. and Mrs. Cripps, don’t want him. When they move they leave Sad behind. The new owners take him in, and all the things about Sad that the Cripps hated, the new owners love. The illustrator uses soft watercolors. The result, says one critic, is a calm and quiet book. “A Dog Wearing Shoes” by Sangmi Ko is probably the best of this litter. Mimi and her mom find a stray dog on a crowded street and decide to take him home. The dog, of course, is wearing shoes. Mimi and the dog have lots of fun together, but one day at the park the dog runs away leaving behind one yellow shoe. She finds the dog at the animal shelter, but feels that she must look for the dog’s original owner. Eventually the dog is reunited with his young owner. Mimi and her mother return to the shelter to find their own pup. Ko’s illustrations are in pencil with tiny pops of color. All of these books are suited to children ages 4-7.